ENVIRONMENTAL COUNSELORS, INC. (ECI) is an organization of professionals engaged primarily in environmental research as well as the promotion and development of environmentally sound technologies consistent with the principles of sustainable development. It combines the technical, with the legal aspects of environmental studies. Founded in early 1997, it is a consulting firm established by experts from various fields of environmental studies and management. Some of its members were previously from government, principally the Department of Environment and Natural Resources of the Philippines. Others were drawn from academic institutions such as the University of the Philippines. 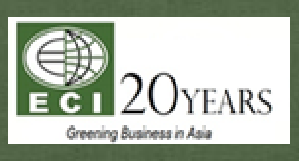 Some members came from other environmental consulting or service firms or worked with Social Development Organizations, as well as Non-Government or Non-profit Groups prior to joining ECI. ECI has been accredited by the Land Bank of the Philippines and the World Bank to provide environmental services for its finance projects. Through the years, it has mastered expertise in handling various types of technical and compliance projects for clients in various fields such as real property development, construction, training needs, telecommunications, food manufacturing, electronics manufacturing, patenting, legal assistance in pollution cases and disputes, environmental law and regulation assessment and compliance, social assessment and development, institutional strengthening and governance, environmental management, engineering and planning, solid waste and hazardous and toxic handling air and quality assessment materials among others. It has served both the government and private sectors. To render technical assistance to government, non-government and people’s organizations, private businesses and industry in the promotion and development of environmentally sound policies and programs as well as the conceptualization and implementation of projects that are environmentally friendly andor are aimed to promote the principles of sustainable development.